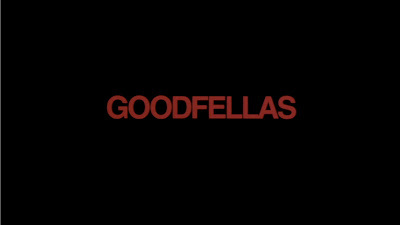 Roger Ebert said that Goodfellas is the most important gangster movie ever made, even more so than Parts 1 and 2 of The Godfather. He makes some very solid points, but I just can't say I agree. I'd love to have a conversation with someone who truly love this movie and get a pitch on why I should too. The film is directed by Martin Scorsese, who has two other much more deserving films on the AFI list: Raging Bull (#4) and Taxi Driver (#52), both of which also star Robert DeNiro. (DeNiro also has roles in The Deer Hunter and The Godfather Part II, making him one of the most prolific actors on the list.) The story follows Henry Hill, played with loads of charm and loads of slime by Ray Liotta, a man who climbs through the ranks of the mob in New York from the 50s until the 80s. Based on a true story, we see Hill as a boy, growing up in the welcoming arms of the mafia, and slowly working his way up to a peak somewhere in the 70s. He's surrounded by colorful characters, most of whom he loves, but none of whom can really be fully trusted. He meets a girl, falls in love, marries her and keeps her mostly ignorant about his true life's work (he claims to be in construction, until Karen (played by Lorraine Bracco) puts all the pieces together). One scene I found particularly exciting was the exchange between adulterous husband and suspicious wife. Taking a page right out of Hill's own book, his wife mounts him while he's sleeping and awakens him with a gun pointed at his skull. "Do you love her?" she screams, not sure if she wants to know, but just wanting control over any part of the situation. Their respective roles in the marriage are so clearly understood by the audience that this really throws us for a loop. But of course, Hill is a scumbag, and as soon as she breaks, he slaps her around and points the gun right back. "How d'you like it, huh!?" This brings me to my major guff with this movie: Henry Hill seems irredeemable to me. He's certainly our protagonist, and it's clear that in the film's eyes he becomes a product of the organization that raised him. It's the mob that brought him riches and glory, and it's the same mob that took it all away. But why should we love him? Why should we be invested in his character? I think it's that we are obsessed with the mafia as a sort of pinnacle of the American dream: people like Henry Hill come from nothing, work their way up the ranks, and by the time they achieve some amount of status, things are handed to them on a silver platter, in a world ruled by its own government, its own codes. Even the cops are in the palm of the mob's hand. 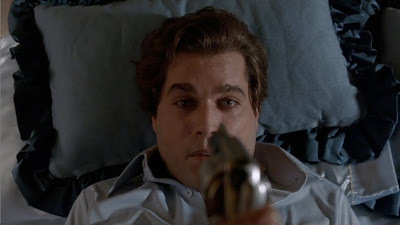 By the time Henry Hill is at his peak, he doesn't barely have to lift a finger. What a life! I think we'd all love that, regardless of whether we're in a recession or not. What makes this different from a Cinderella story is the part we might love to watch even more than the rise: the fall from grace. What is that turning point? Where is the warning bell? They were all around, most obviously embodied in Tommy DeVito, one of the most feared and respected mobsters around, played by Joe Pesci as one violent and trigger-happy fella. It's probably a pretty good rule of thumb to say that if you're in a movie and you see Joe Pesci, run the other way. No good can come of that relationship. They're in too deep to climb out now. And no good does come of it. 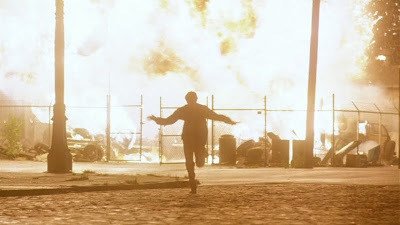 There is a great scene in which Hill is trying to cook dinner for his family, run a drug deal, and snap himself out of his paranoia about being followed by a helicopter. You get the sense that the walls are closing in around him just by watching Scorsese's deft direction. By the end of it all, most everyone's either in jail, or banished to living in the suburbs. I think, "some punishment," but then I realized that Henry Hill has no hobbies, no marketable skills, and nothing left to live for. He's doomed. Yikes. In The Godfather, the outside world doesn't really exist; no one is ever really caught. Maybe this film wanted to bring a sense of justice to that world? I doubt that was the director's intention, and yet I can't help but make the comparisons. This is a good film with many fantastic performances, but I just can't subscribe to the intense needless violence and irredeemable characters. At least not now. What do you think? What is our obsession with gangsters? Is that lifestyle so appealing that we can't help but make it an object of desire on screen, or are we so disgusted by it that we need to sensationalize the idea of the mob to make it all seem less threatening? I'd love to hear some arguments for this film. Next up: #91 is Sophie's Choice with a legendary performance by the one and only Meryl Streep. Is the film as good as her performance? We'll see. 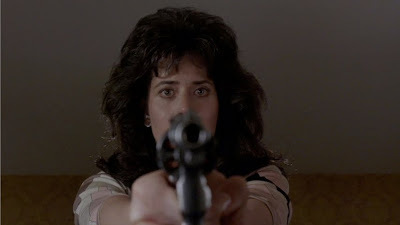 My argument for this film is in fact connected to your questions about glamourization of violence and the gangster lifestyle. Goodfellas, which is a true story (look up Henry Hill on Wikipedia, for instance), I think refutes the glamour. It shows how attractive the lifestyle is to an outsider (Henry as a kid) or someone climbing through the ranks (Henry in his twenties), but how ultimately hollow it turned out to be. Contrast Karen's awestruck swooning when Henry takes her through the kitchen of the Copa to her distaste for the other gangsters' wives. Contrast Henry at the height of his success, the Lufthansa heist, to his paranoia in the helicopter sequence. Generally, while Henry is certainly the main character, I'd say that part of the point of the film is that he's not a protagonist. He's at rock bottom at the end, despite his safety from those who would murder him. Why, because he's a "nobody," and although being a "somebody" involved robbery, intimidation and murder, that's all he wants. This repudiation of his lifestyle, while making the audience admit that they think it was pretty cool, is why I love this movie now. So much for substance. The filmmaking is really why I first loved this film. The entire film plays as flashback, as a two-hour montage with voice-over. Actual scenes of dialogue between characters are typically only to further illustrate whatever the narrators are talking about (Casino is a spiritual sequel in this and many other respects). The editing, the integration of the music (both best exemplified in the helicopter sequence), the long tracking shot through the kitchen to get the viewer's head swimming like Karen's, and holy crap the moment in the trial where Henry breaks the fourth wall, going from giving testimony to continuing his narration as he crosses the courtroom. These are why I loved this movie at first.